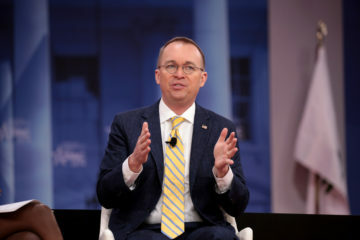 On September 8, 2018, Office of Management and Budget (OMB) Director and the Consumer Financial Protection Bureau (CFPB) Acting Director Mulvaney reportedly met with Republican donors and campaign officials at a private “closed door” event in New York City. Mulvaney reportedly spoke of Republican party strengths and weaknesses, and the odds of a “blue wave” in the midterm elections. Members of Congress have already questioned whether Mulvaney’s political activity violated the Hatch Act. CREW filed Freedom of Information Act (FOIA) requests with OMB and the CFPB for Mulvaney’s travel records to events with members of the House of Representatives that occured in the months leading up to the midterm elections. CREW also asked for records about how OMB and CFPB agencies ensure Hatch Act compliance when Mulvaney takes trips that include both official and political activity, like the event he participated in in New York in September. 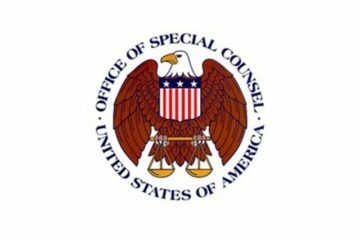 The Hatch Act prohibits government employees from undertaking any activity directed toward the success or failure of a political candidate or a political party in their official capacity, including through official travel. The law also requires that costs for mixed travel be split between the government and the campaigns to ensure that taxpayer funds are not being use to support partisan politics. In September, CREW requested similar records from 18 agencies for any of their presidentially-appointed officials. The requested records will shed light on the expense of mixed travel and the extent to which OMB and CFPB consider Hatch Act compliance when Mulvaney travels to participate in official events for the purpose of supporting candidates, or fundraising in partisan races. Read the CFPB request here, and the OMB request here. CREW requested all records and advice about the use of “MAGAnomics,” "resist," and compliance with the Hatch Act. There is reason to believe that leadership of the CFPB has neglected its mission by blocking the release of a report about student loan fees. 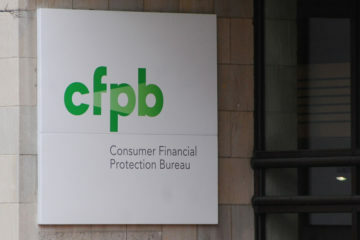 FOIA Request – Consumer Financial Protection Bureau – World Acceptance Corp.
CFPB has closed a four-year investigation into payday lender World Acceptance Corporation, declining to take any enforcement action. CREW requests records to find out why.